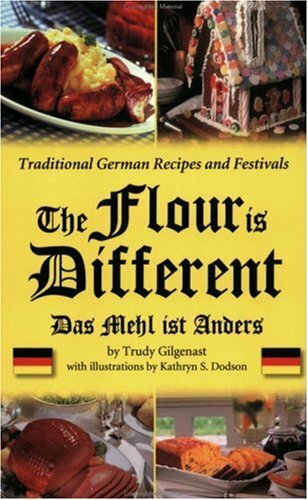 “The Flour is Different… Das Mehl ist Anders.” My mom took one look at the cover of this book and said, “ It’s true, the flour here is different”. For German Bakers in America, this can be rather frustrating. Baked goods like bread and cakes don’t come out “right”. (But, it turns out… there is a fix…I’ve given the solution at the bottom). 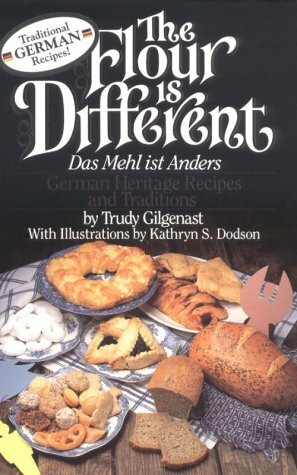 The Flour is Different -Das Mehl ist Anders is a book of recipes, traditions and remembrances put together by Professor Trudy Gilgenast, and illustrated by Kathryn S Dodson. 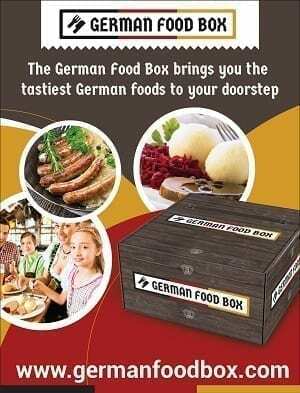 This little book is LOADED with personal recipes covering all meals from Fruhstuck to Abendessen… and also describes traditions and festivals celebrated by Germans, both in Germany and abroad. I love that the recipes are written in the voice of the contributor. Even though there may be 5 recipes for Frikadellen, each is correct for the region it originated in…. and each is delicious. (For example, there are 8 Stollen recipes!! But, we all know, everyone makes it just a little bit differently… and who knew there are so many ways to make Kloese/Knoedel?). Some recipes are Americanized… others are straight from Oma’s hand written notes. All are worth trying. Oral histories are so often the best way to find out about ourselves… and they need to be captured before it all vanishes. 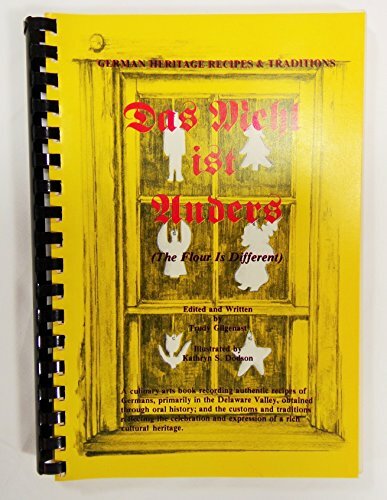 Even if you have no intention of cooking any of these… this little book is a valuable source of first hand information about German traditions. 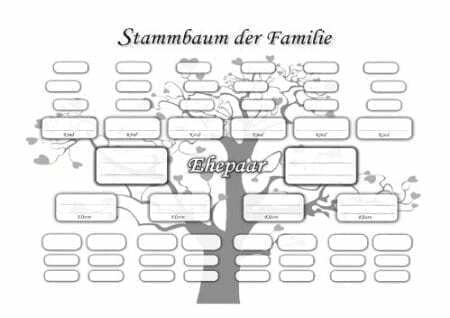 This is a compact historical and social guide for many of us who no longer live in Germany, or those who wish to discover their roots. OK, why? What makes the flour different? Turns out, in America the flour is labeled differently. In the US they go by levels of gluten in the flour…. in Germany the flour is labeled by “ash content”. The higher the ash, the more whole grain it is. So… if you want to bake pastry from a German Recipe, you want German Flour 405… or combine 1 1/3 cups (185g) all-purpose flour and 2/3 cup (90g) cake flour. Note- I own the 2007 Comb-Bound version of this little cookbook, but I’ve noticed that the price for this edition on Amazon has SKYROCKETED (wonder if I should sell it to put my kid through college?). Never fear! There are other editions that are not so expensive. You get all of the information! previous Spaghetti Eis Recipe- How to Make This Favorite German Ice Cream Dessert at HOME! And the Butter is anders lol. BEst Butter so far – Kerrygold Irish Butter but sadly much higher in price. You learn to figure it out with time but no matter what, die Butter ist auch nicht das gleiche 🙂 Love your Website and all your posts . Thank You for sharing!!! !